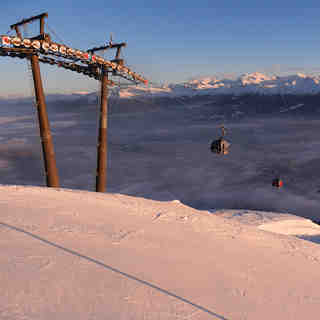 Is it snowing in Anzère ?¡Gracias! Anzère, in the Valais region of Switzerland, is a large resort with 13 lifts (4 chair lifts, 8 surface lifts) that offers skiers an incredible 1039 metres (3409 feet) of vertical descent. 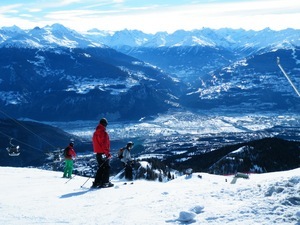 Anzère has 15 pistes with a total length of 40 kilometers (25 miles). 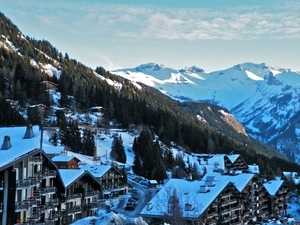 Anzère is best suited to intermediate skiers and snowboarders but there is some terrain for beginners and advanced skiers. There are 3 kilometers (1.9 miles) of cross country ski trails. For snowboarders, there is a terrain park and a half pipe. 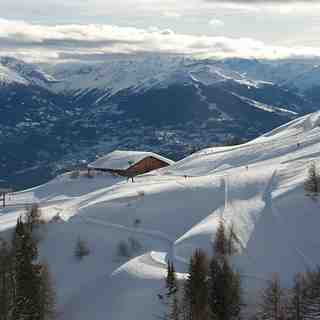 A small proportion of the pistes at Anzère are covered by snowmaking. The closest airport is at Geneva. The nearest train station to Anzère is at Sion. 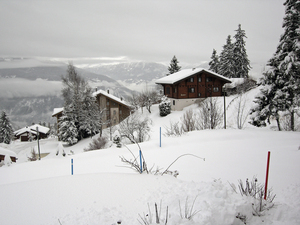 There is accommodation located close to the pistes but we would welcome additional information about any hotels or chalets in Anzère. Don't bother visiting Anzere (Anzère), unless of course you enjoy uncrowded pistes, spectacular mountain views, tasty slopeside restaurants along with genuine Swiss hospitality. 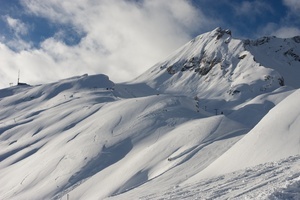 While this small resort cannot boast the huge expanse of terrain of its bigger neighbours it does offer varied and interesting skiing for all abilities, particularly intermediate skiers / boarders. If you hire a car there are literally 10s of nearby resorts to explore. I normally stay in Hotel Zodiaque which is very reasonably priced and has a lively bar and friendly staff. You have to walk about 5 minutes to the ski lift, or for the fat and lazy there is a free shuttle bus every few minutes, the upside is that you can ski back right up to the hotel door in all but the worst snow conditions. It has taken me years to write this review because I want this resort to remain as it is an undiscovered gem.